Majestic horses, magical unicorns, and more! 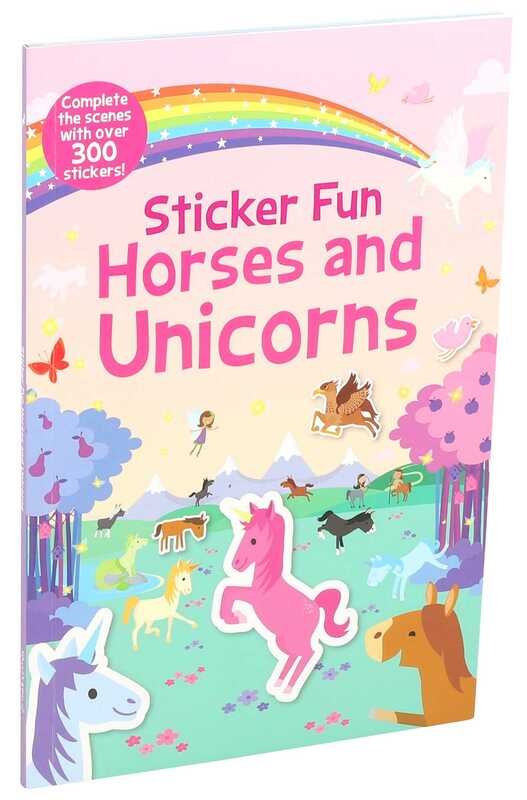 This fun-filled book features hundreds of stickers of bright and colorful horses and unicorns. Sticker Fun Horses and Unicorns has full-color pages with unique prompts for children to decorate the scenes. This adorable sticker book is sure to keep children entertained as they add cute and magical creatures to the colorful scenes.